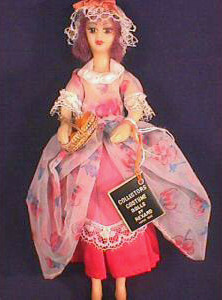 This interesting range of dolls were designed by Odette Arden for Rexard, who were based in Brighton, Sussex; Despite their English pedigree, Rexard dolls were made in "The British Empire", which in reality meant that they were being manufactured in Hong Kong. 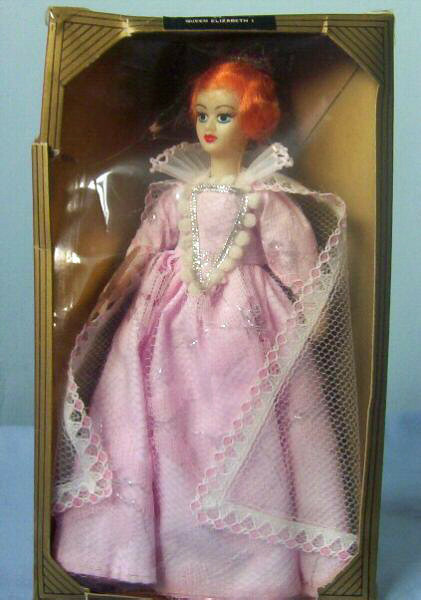 These dolls were also sold in Australia, under the "Faun" brand name. 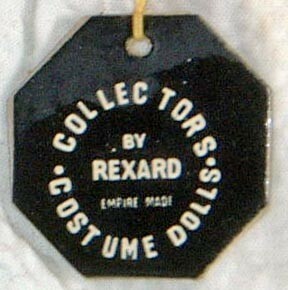 Rexards were aimed at the younger collector, being priced to be affordable to the child on a pocket money income. 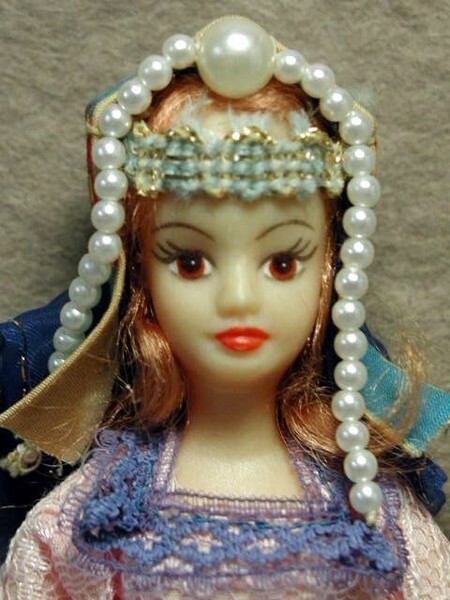 The dolls were extremely attractive, having pretty features, and were generally well painted. 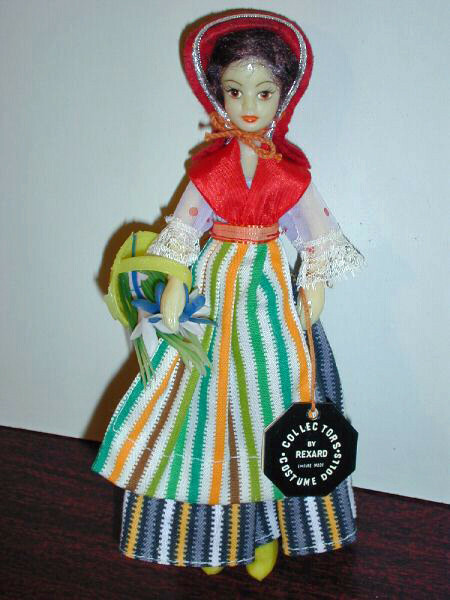 Clothes were bright and colourful, and the range of characters available mirrored very closely the Nisbet dolls they were competing against. 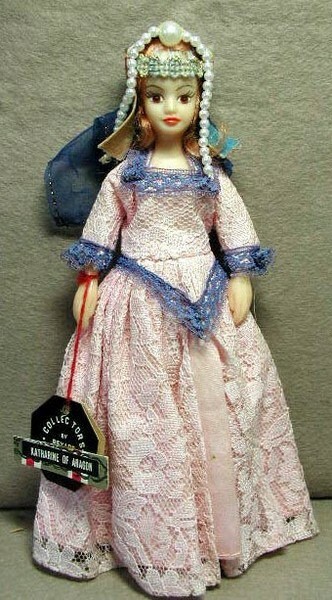 But there were significant differences, which were not always immediately obvious from the study of photographs alone. 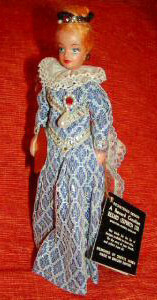 Rexard dolls were hollow, being moulded in two halves, which were stuck together, (like many of the "Airfix" model kits so popular in the 1960's and 1970's). 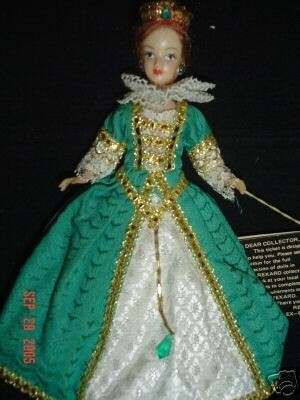 They had movable arms, retained in the body by an elastic band, (the same system used by Nisbet dolls). 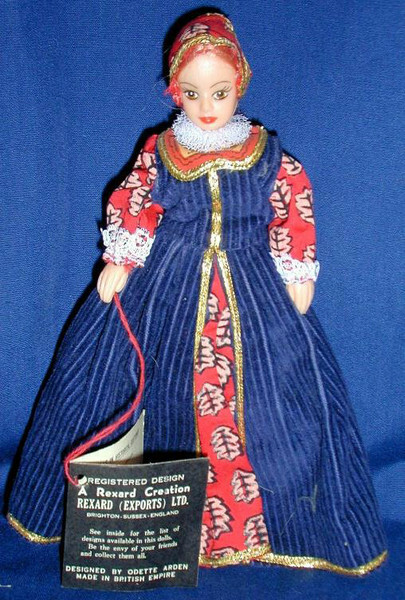 This hollow construction gives the collector the first clue to determining if they have a Nisbet - All nisbet dolls were solid plastic, and so were much heavier than their Rexard counterparts. 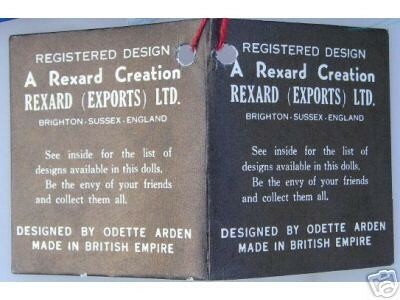 Also, the majority of Rexards we have seen were made in a very pale, waxy, near white colour plastic - Nisbets were made in a much better flesh coloured plastic material. 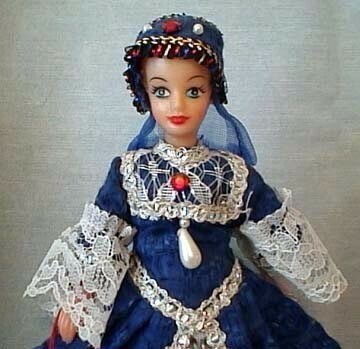 Rexard costumes were usually made from thin, screenprinted cotton material or similar - They were colourful and attractive enough, but the clothes lacked the finesse and quality so evident in even the cheaper "Souvenir" dolls Nisbet produced. 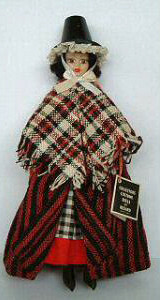 Nisbets, by comparison, used quality materials, which were generally thicker, often lined, and most often carried the pattern in the weave. 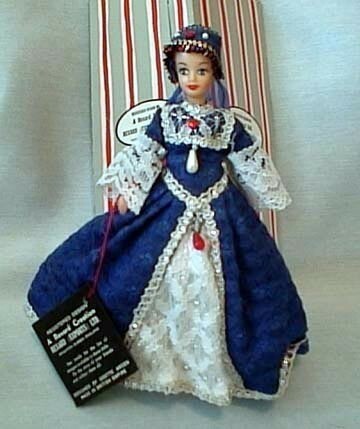 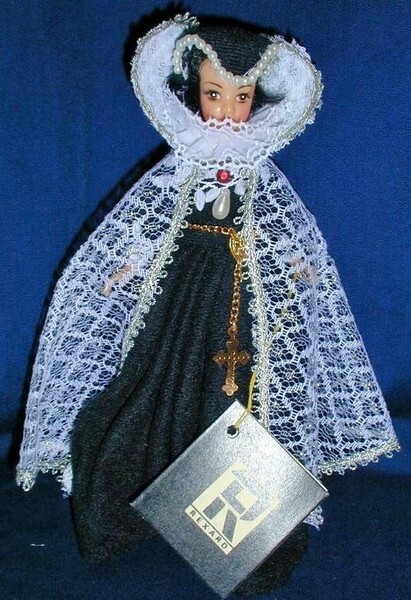 The fledgeling Nisbet collector, (and even some seasoned "old hands"), have to be particularly aware of these dolls, because as pretty as they are, they will ultimately disappoint, if purchased with the expectation of obtaining a doll with the quality of a Nisbet!